There are a lot of chords you’ll come across while learning guitar, but few of them will crop as much as a simple E chord. We’ve done a lot of guides to how to approach playing chords through various techniques, and many different variations on these basic shapes. Every major scale has the same theory behind it, building on a pattern of tones between the notes: 1-1-1/2-1-1-1-1/2. On a piano, the ‘1’ means that if you’re starting on the C, then there will be one note (Db in this case) between your C and the next note of the scale (D), while the 1/2 means that the next note of the scale is directly next door (such as in the move from E-F in C major). On a guitar, the 1/2 means the next fret is in the scale, and the 1 means there will be a fret in between the two notes. Each of these notes (degrees of the scale) can be assigned a number as it ascends so you can use a helpful formula to work out chords from it. The E is a 1, the F# is a 2 etc. Once you’re familiar with the scale, you’ll do well to remember that the formula for an E major chord (and any tonic major chord of any key) is 1-3-5 which gives the notes E-G#-B. Within the key of E major, you can make various chord sequences and work them out using this numbering system, but remember that E major is your tonic, and is where the key will sound resolved and at home. Unless you’re an absolute beginner, you’ve probably come across an E major chord already. It is built around the open 6th string, which in standard tuning is already a low E note. You’ll want to put your 3rd finger on the 2nd fret of the 5th string, your 4th finger on the 2nd fret of the 4th string and your 2nd finger on the 1st fret of the 3rd string. This version of the chord is essentially a slightly extended power chord, but is different as it adds on an extra note in order to bring out the major 3rd of the chord. This means it wouldn’t typically be used in metal music like many power chords would. Use your 2nd finger to press down on the 7th fret of the 5th string, then use your 4th finger to barre the 9th fret from string 4-2. Let this same finger mute the 1st string so the E string doesn’t jarringly ring out over the chord. This one is a bit challenging as it takes quite a big stretch across the neck to reach the higher frets, but it’s a great shape to use when you’re in need of an almost harp-like sound. 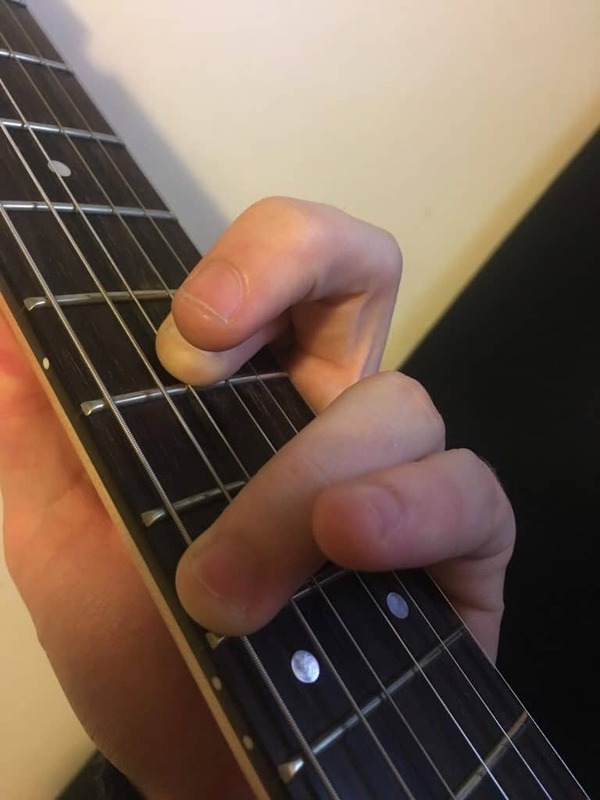 This chord requires you to barre the 9th fret across the 2nd, 3rd and 4th strings while muting the 1st (the 9th fret here would be a C#- not part of the E major chord). 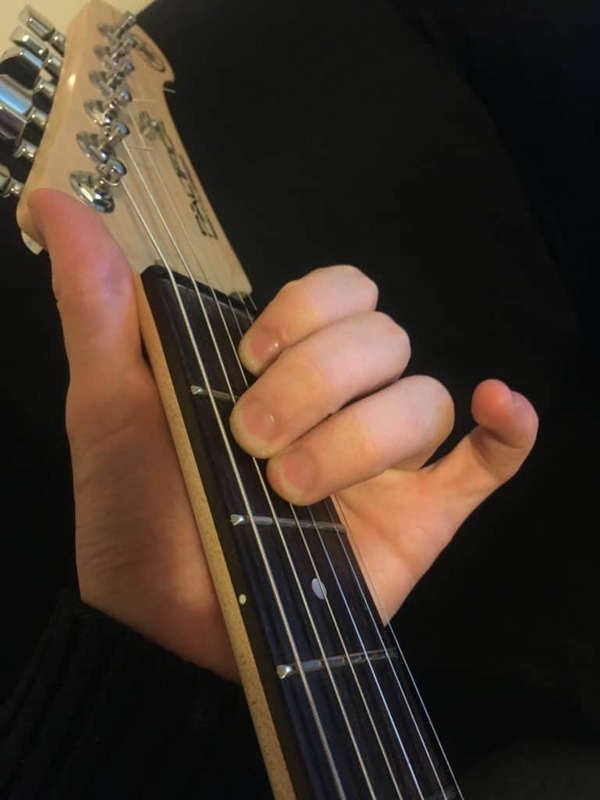 Then stretch your 4th finger over to the 11th fret of the 5th string and your 5th finger to the 12th fret of the 6th string. 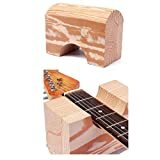 This variation is important, as it is a moveable major shape that can be placed on any fret to form a major chord of your choice. This one only really works on an electric guitar, though, as its too high up the neck for most acoustic guitars. 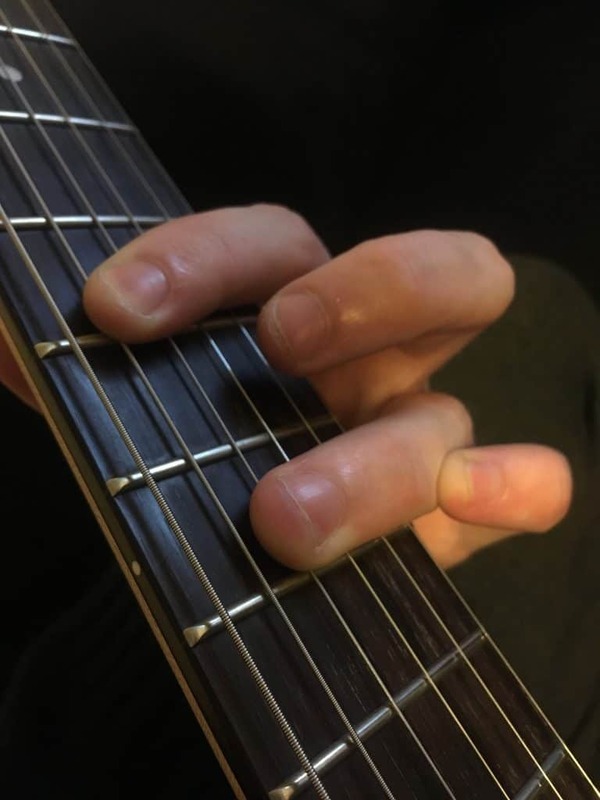 You’ll first want to barre the 12th fret with your 2nd finger, then press your 4th finger onto the 14th fret of the 5th string, your 5th finger on the 14th fret of the 4th string and your 3rd finger on the 13th fret of the 3rd string. A minor scale differs slightly from a major scale in that degrees 3, 6 and 7 are all flattened, so they are lowered by one semitone. This creates the E natural minor scale (variants such as the harmonic and melodic minor will be looked at in a separate guide). We could apply numbers to these much like we did with the major scale, so an A minor chord would still be 1-3-5, like the major. But this is a bit confusing, so let’s approach it from the context of the major scale. An E minor chord is 1-b3-5, so therefore made up of the notes E-G-B. 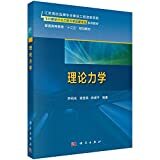 The open Em only takes 2 fingers, and will be heard in a huge amount of the chord sequences you’ll learn as a beginner. In acoustic music this one is particularly easy to strum. Place your 2nd finger on the 2nd fret of the 5th string and your 3rd finger on the 2nd finger of 4th string. This one is another moveable chord, and can be pushed up and down the 5th string. It’s also a good one for use in heavier styles as it is quite easy to mute thanks to its barre. 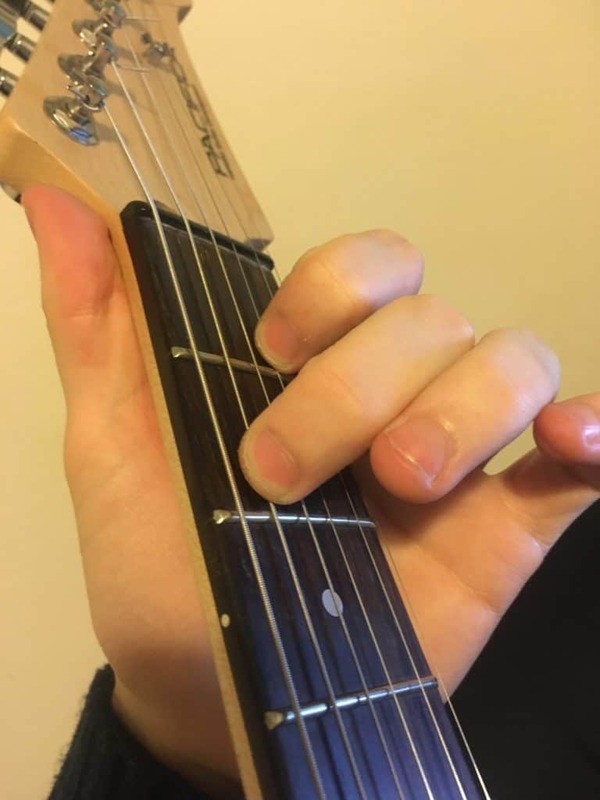 Barre the 7th fret, while muting the 6th string (though technically, the low E would work with the chord), then make a ‘major’ chord shape: 4th finger on the 9th fret of the 4th string, your 5th finger on the 9th fret of the 3rd string and your 3rd finger on the 8th fret of the 2nd string. This jazzy variant is one of my favourites, as it can be used both in staccato, bouncy circumstances and it’s easy to pluck, but also in dreamy arpeggiations thanks to its high notes. Press your 2nd finger onto the 9th fret of the 4th string and then barre the 12th fret of the 6th, 5th and 4th strings with your 5th finger. Much like the major barre chord, its E variant has to be played really high up on the neck, so it doesn’t lend itself well to replication on acoustic guitar. Technically, this is the first variation we learnt, taken up an entire octave. 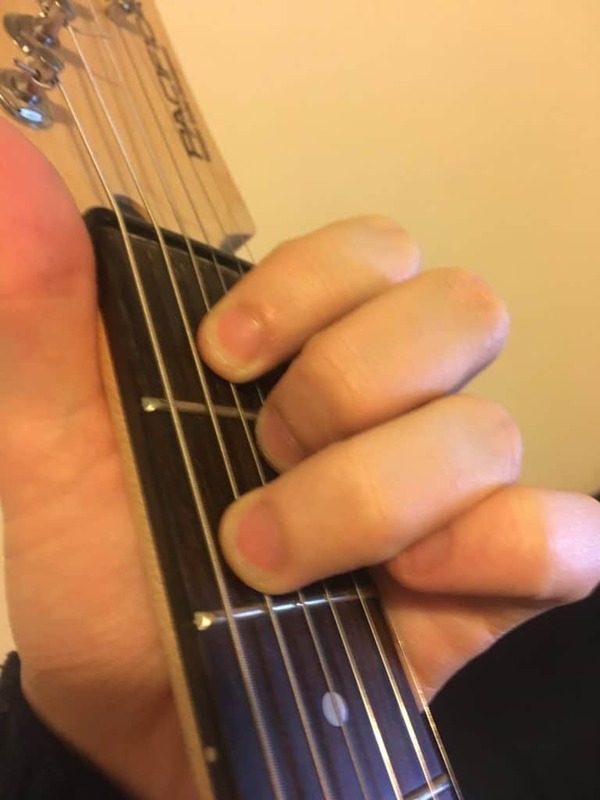 Barre the 12th fret with your 2nd finger, then use your 4th finger to press down on the 14th fret of the 5th string, and your 5th finger to press down on the 14th fret of the 4th string. An E7 chord, or E dominant 7, is a major chord with an added minor 7th. This creates an interval of a tritone within the chord, adding a laying of dissonance to the sound. In a lot of music, the E7 is used as part of a perfect cadence, in order to resolve to the tonic. However, one of the primary uses of the dominant 7th in modern music, is as a part of jazzy chord sequences. If we use major scale theory (which we would unless you’re delving into the realm of modality where this chord has a strong Mixolydian quality) then the formula for this chord is 1-3-5-b7. The b7 takes the D# of an E major scale down to a regular D.
This means that the notes in a E7 chord are E-G#-B-D. 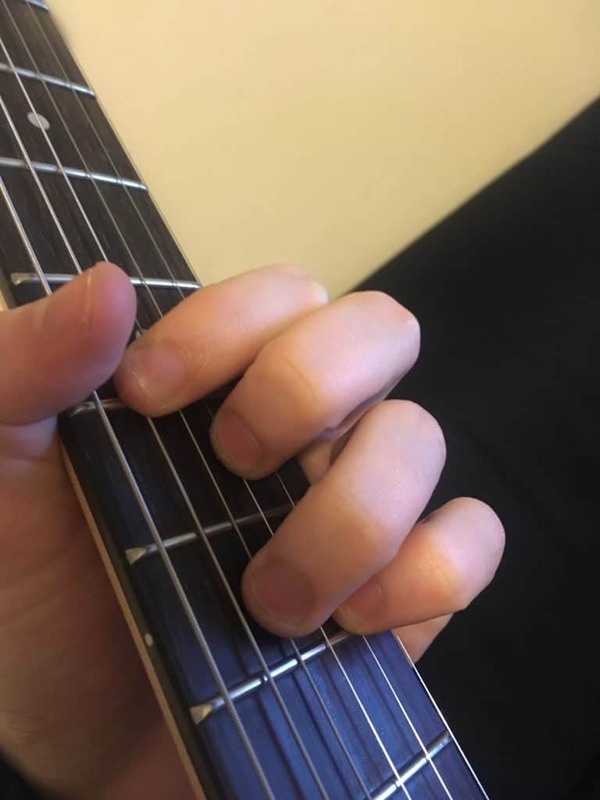 This open chord uses 2 fingers just like Em, but now they are separated by a string. This chord will rarely work in jazzy/funky settings, due to the risk of open strings ringing out. Press your 3rd finger onto the 2nd fret of the 5th string and your 2nd finger onto the 1st fret of the 3rd string. As you’ve probably realised by now, pretty much every chord has a barre chord variation that can be moved up and down the neck accordingly. E7 is no different and is quite an easy one to use within a lot of genres. Barre the 7th fret using your 2nd finger, then place your 4th finger on the 9th fret of the 4th string and your 5th finger on the 9th fret of the 2nd string. Make sure you are barring hard enough in order for the 7th fret to be audible on string 3. If you’re looking for quite a simple jazz variation, then this 9th fret E7 chord will sort you out in most scenarios. Barre strings 2, 3 and 4 with your 9th fret while muting the 1st string to avoid it ringing out. 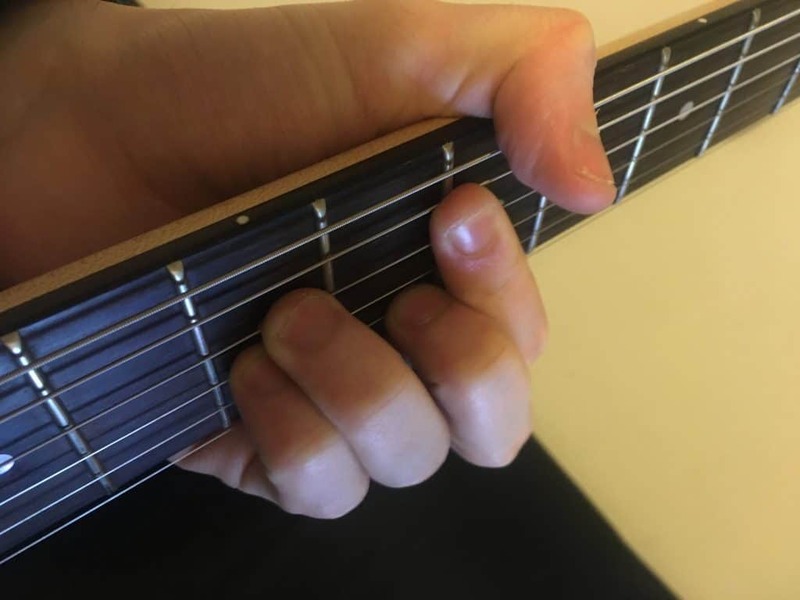 Bring your 4th finger all the way over the neck so that it presses down on the 10th fret of string 6, and use the same finger to mute the 5th string. An Emaj7 chord is simply a major chord with a major 7th attached to the top. This often gives it a very uplifting sound, but there is an underlying dissonance due to the major 7th interval. If we look at it from the point of view of the major scale algorithm, then the chord outlines a pattern of 1-3-5-7. This means that the notes in an Emaj7 chord are E-G#-B-D#. The open version of Emaj7 is probably the hardest open E chord, but it still won’t take long to get to grips with. Due to the low strings and quite small intervals, this chord can often sound slightly muddy. 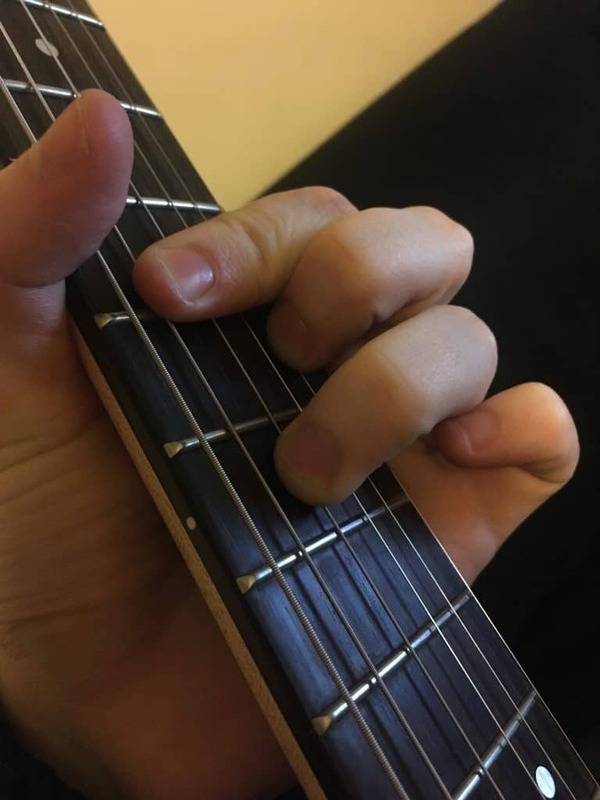 Press your 4th finger onto the 2nd fret of the 5th string, your 2nd finger onto the 1st fret of the 4th string and your 3rd finger onto the 1st fret of the 3rd string. This is the moveable maj7 shape that can be transposed up and down the neck as you wish. This is my personal favourite way of constructing this chord, as each interval is spread out perfectly. 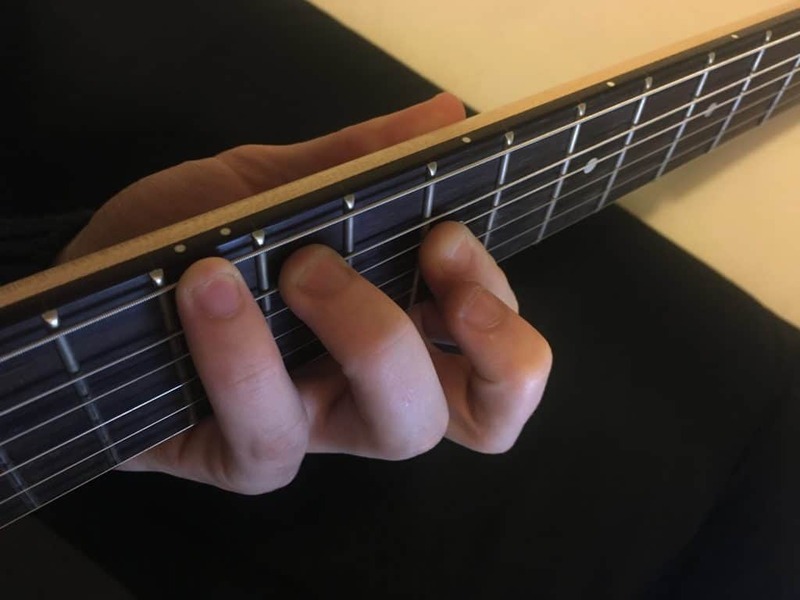 Barre the 7th fret with your 2nd finger (mute the 6th string), then place your 4th finger on the 9th fret of the 4th string, your 3rd finger on the 8th fret of the 3rd string and your 5th finger on the 9th fret of the 2nd string. If you can manage the spread of frets (which should be doable, as this one is pretty high on the neck) then this is probably the best way to arpeggiate the Emaj7 chord giving a harp like sound. 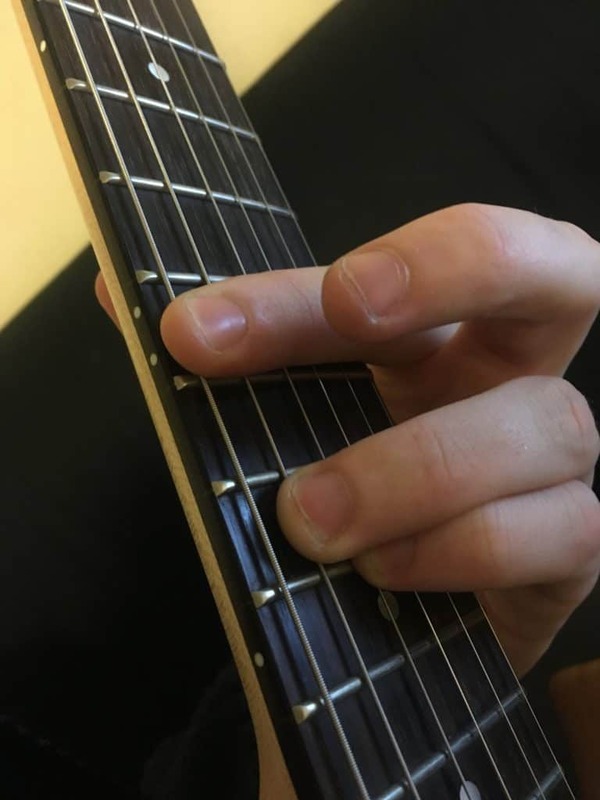 Put your 2nd finger on the 11th fret of the 1st string, your 3rd finger on the 12th fret of the 2nd string, your 4th finger on the 13th fret of the 3rd string and your 5th finger on the 14th fret of the 4th string. The Em7 chord (E minor 7) is based on a minor chord with a minor 7th above. It’s sort of the sadder version of the major 7th chord, giving off more of a negative sound due to the minor 3rd, but less dissonance due to the minor 7th interval instead of the major 7th. If we look at it using the major scale formula, then it follows a pattern of 1-b3-5-b7. 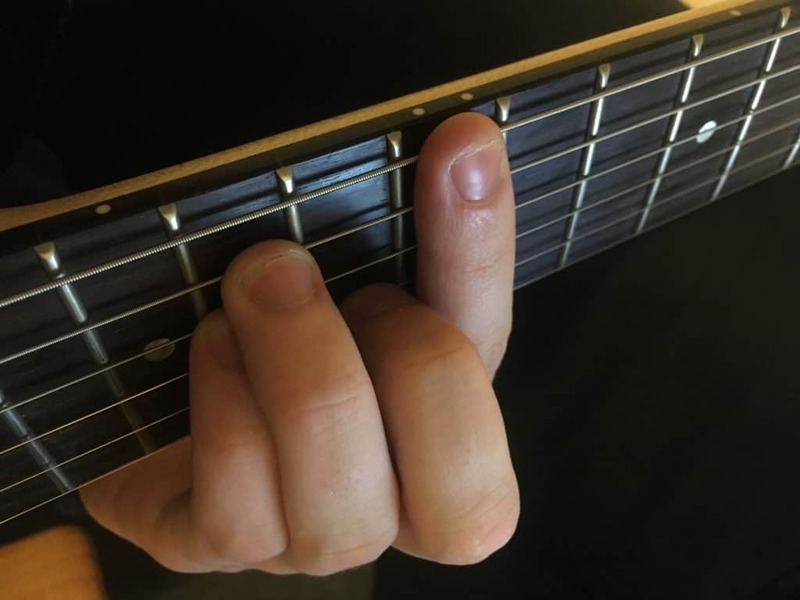 This means that the notes in a Em7 chord are E-G-B-D.
We’ve now finally reached the easiest chord for guitar, as you’ll only need to use 1 finger. Much like the low Emaj7 chord, this chord often has the issue of sounding a bit muddy due to the low 7th interval. Simply press your 2nd finger down onto the 2nd fret of the 5th string and you’re done! Every other string in this chord can be played open. 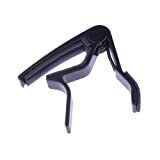 The moveable variation of the m7 chord takes place on the 7th fret when based around E. This one works especially well in many genres, as it is particularly easy to mute. Barre the 7th fret from strings 1-5, then place your 4th finger on the 9th fret of the 4th string and your 3rd finger on the 8th fret of the 2nd string. Make sure to make the 7th fret of the 3rd string particularly audible. When taken up an octave, the barred, moveable m7 shape is one of the easiest barre chords you can play. Much like its similar cousins, this one won’t work particularly well on an acoustic guitar as it’ll be too high up on the neck. Barre the 12th fret with your 2nd finger, and the use your 4th finger to press down on the 14th fret of the 5th string. There are a lot of other types of chords you can use based around a E tonic. The ones I’ve shown you so far are probably the most common you’ll come across, particularly major and minor. E7#9 is a very famous one, thanks to its use in Jimi Hendrix’s ‘Purple Haze’. It gives a crunchy dissonance, as the #9 essentially creates a minor 3rd interval over a chord that already includes a major 3rd. Emaj7b5 takes the beauty of the maj7 chord, and adds a tritone that forces a dissonance into the chord. I’ve decided to mention this one as it has a simple open variant, created by barring strings 5, 4 and 3 on the 1st fret. Em11 is the simplest chord on the guitar, as all you need to do to play it is strum the guitar without pressing down on any frets. You’ll no doubt recognise the sound is makes from times you’ve accidentally strummed your guitar! There are obviously a lot more chords than this, but these are a few I really like. I have a few tricks to bear in mind when working out chords yourself. If you’re in an alternate tuning, remember these explanations won’t be the same! Using a formula to work out what notes are in a chord is a really simple way to help you out.